By taking Wednesday’s finale in Miami, the Cardinals have captured 4 consecutive series wins. This is a feat that this franchise hasn’t accomplished in 11 months, last doing so in the opening weeks of September, 2017. That stretch involved 4 series against the 4 worst records in the NL. What makes the current run impressive is that 3 of the 4 opponents — Chicago, Colorado, and Pittburgh — were ahead of the Cardinals in the standings at the series open. Those results have allowed the Cardinals to creep more and more into the NL Wild Card picture. As the Cardinals roll into Missouri’s western metropolis, they have a great chance to keep their winning ways alive while facing a team that is tied for the lowest win total in baseball — the Orioles have 1 more loss — in the 35-win Kansas City Royals. Anything less than a 5th consecutive series win would be a failure. With their recent success, the Cardinals have climbed to be just 3.5 games out of the 2nd Wild Card spot, and just 4.5 behind the Brewers and the top spot. When the races start to heat up this time of year, there are many layers to unearth. One of those is how well the team is playing. Another is, which teams are coming up on the schedule? And yet another — often overlooked — is, which teams are the other contenders playing? How Well is the Team Playing? The Cardinals are 13-9 since Mike Shildt took over the reigns. That seems like a modest record, but considering the team was 5-10 in Matheny’s final days, it is sparkling. That record is, obviously trending up. The style of baseball has been much improved as well. I documented earlier this week the ways in which the offense has changed under the new hitting coaches, you can view that here. Without rehashing that piece, their approach and results have vastly improved, especially with two strikes. 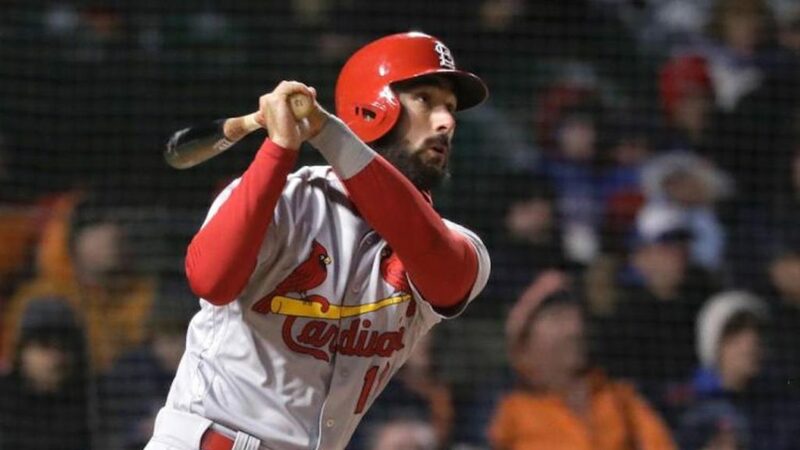 Obviously, Matt Carpenter is playing at an MVP level. The rotation, despite injuries to 2 of their top 3 pitchers, has held its ground. At 3.51, the unit still possesses the 2nd best rotation ERA in the NL. The bullpen has been on fire since Mozeliak cut bait with struggling arms and inserted the Memphis Redbirds starting rotation. Since those changes occurred on July 27th, the bullpen has a 1.34 ERA, the best in the NL during that time by more than a run (SD is 2nd at 2.56). It’s amazing what happens when you remove the bad options and give your manager something solid to work with. Shildt has also done a really good job utilizing his bullpen, it’s been refreshing after becoming accustomed to shoddy bullpen management over the last 6+ years. Defensively, the trade of Tommy Pham — who was a minus defender this year — and the injury to Dexter Fowler have opened the door for young outfielders. Though their offense is still a bit of an uncertainty, they have shown themselves to be superior defensive players. The return of Kolten Wong, the limiting of Jose Martinez’s innings at 1B, and Paul DeJong beginning to settle down after missing a long period of time, makes for a solid defensive infield. All-in-all, the team is in a much better place — both in process and results — than they were 3 weeks ago. Last week, I ran down the NL Wild Card standings and took a look at how the Cardinals schedule could allow them to leapfrog other contenders, if they play well. Starting tonight, 38 of their 47 remaining games will be against teams that are also in the Wild Card hunt or ahead of them in the standing (see: Cubs). The Diamondbacks are the only team in the race that the Cardinals will not see again this season. You can go back to last week’s article to see how many head-to-head games there are with each Wild Card opponent by clicking here. As we saw when the Cardinals gained 2 full games in a single series against the Rockies, ground can be made up fast in head-to-head. The schedule provides opportunity, but the Cardinals must play well enough to seize it. You can only control your own destiny so much in a race that contains 9 teams. You have to get some help, which is why it’s important to keep an eye on who the other teams are playing as well. This is where you can really determine how realistic your chances are. If one contender has an easy schedule in September, it’s fair to think that they will run away with a spot. Ideally, all the contenders play each other and the race stays close, or you take care of your business against them and keep climbing. Considering that 8 teams are within 5.5 games of each other — SF is fading at 7 games back — chances are that most of these teams will be facing similar head-to-head schedules as the Cardinals. Looking at this weekend alone: the Cubs play the Nats, the Brewers play the Braves, the Dodgers play the Rockies, and the Pirates play the Giants. This is why sweeping the Royals would be huge in the standings. If the Cardinals sweep, then they gain a game every day on no less than 4 teams — whomever loses in the other series — that you are chasing or competing with. It wouldn’t really matter which teams are losing either. For example, if the Braves took 2-of-3 from the Brewers while the Cardinals sweep, then they wake up Monday just 2.5 behind both of those teams. If they only take 2-of-3 in that same scenario, then Monday sees them 3.5 behind both teams. With all of the upcoming head-to-head and a crowded race, it’s vital to capitalize on every advantage available. This weekend, the advantage is that the Cardinals are playing a series without postseason implications, while the other contenders are. It’s a golden opportunity for the Cardinals to assert themselves as playoff contenders. They can gain ground across the standings by taking care of business across the state.